PLEASE NOTE: This track is currently closed while NPWS conduct track repairs. Please call us to discuss our other great bushwalking options! 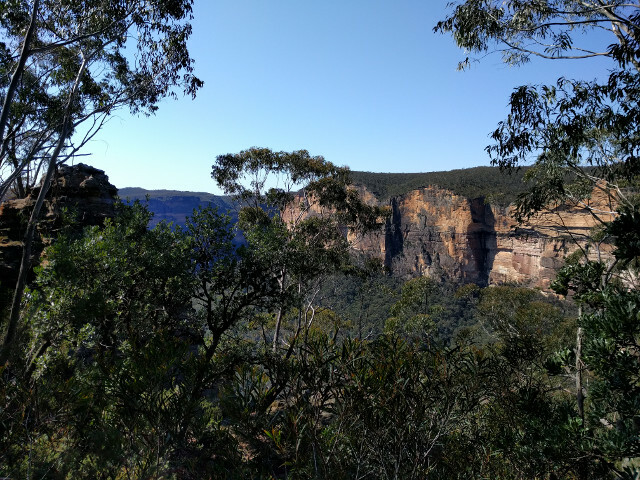 This walk is a Blue Mountains classic which amply showcases this rugged, awe inspiring landscape - huge cascading waterfalls, towering sandstone cliffs and epic valley views. From the Conservation Hut we walk along to join the Overcliff / Undercliff walking track which sees us skirt along the rim of the plateau. On the way we will pass through classic native heath lands, hanging swamps and stop at several notable lookouts with stunning views over the Jamison Valley. 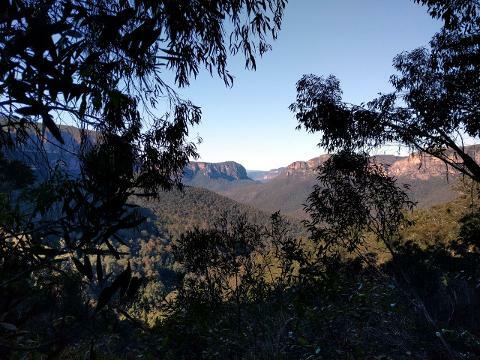 As we head towards Wentworth Falls we are soon exposed to the best views of the areas’ most famous waterfall and a wilderness photographer’s dream! The following section takes in the iconic National Pass walking track, where we cross the top of the falls and make the airy descent of the Grand Stairway. 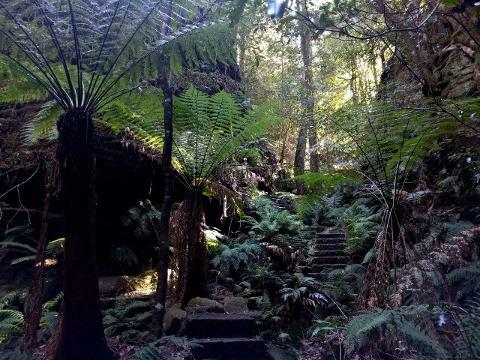 At the bottom of the staircase we find ourselves below Wentworth Falls. The final leg of our walk is possibly the most beautiful of all. We follow the cliff line around and into the Valley of The Waters. We begin to ascend now, past Sylvia Falls and then on to the base of Empress Falls. A further short section will bring us to the finish of our trek back at the Conservation Hut.